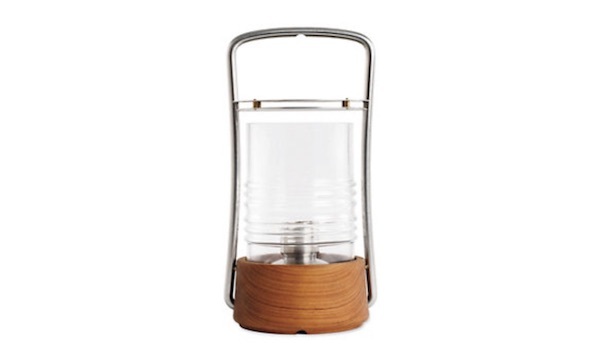 Nautically inspired, this bollard oil lamp ($150) is charming in deliberately low-tech kind of way. It’s a ribbed glass jar atop a solid teak base, capped by a vented steel lid. You could easily hang it from a rope, which we’d recommend if you have kids or pets around—those things don’t mix with oil lamps, as far as we know.